A new fantasy football game called “Blazin’ Fantasy Football” is kicking off on September 9 and will run through the end of the 2018 NFL regular season. It is a game built by DraftKings and delivered through Buffalo Wild Wings as part of a new partnership between the two companies. The unique twist to the game is that it can only be played by guests at Buffalo Wild Wing restaurants. In essence, it is a form of entertainment offered to sway people to come in for some food and drink. There is no charge to play the new fantasy football game. Prizes include free wings for a year, gift cards and more, with a total of 600 weekly winners. Further incentive to patron a Buffalo Wild Wings location is being provided via a new $5 Football Menu that includes a 38 oz domestic pitcher, cheeseburger and fries, and bratwurst and fries all at $5. The Blazin’ Fantasy Football game is but one element of the new partnership between Buffalo Wild Wings and DraftKings. 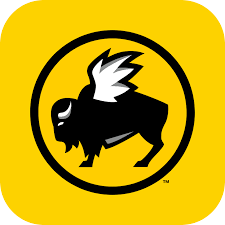 Buffalo Wild Wings will also become the official presenting sponsor of DraftKings’ Thursday Night Showdown contest. In early August, it was reported that Buffalo Wild Wings was looking to get into the sports bookmaking game. The new fantasy football product technically is not considered bookmaking, but it does likely signal that if Buffalo Wild Wings begins to offer sports betting it will probably be in association with its new partner DraftKings. Financial details of the partnership between Buffalo Wild Wings and DraftKings were not disclosed.